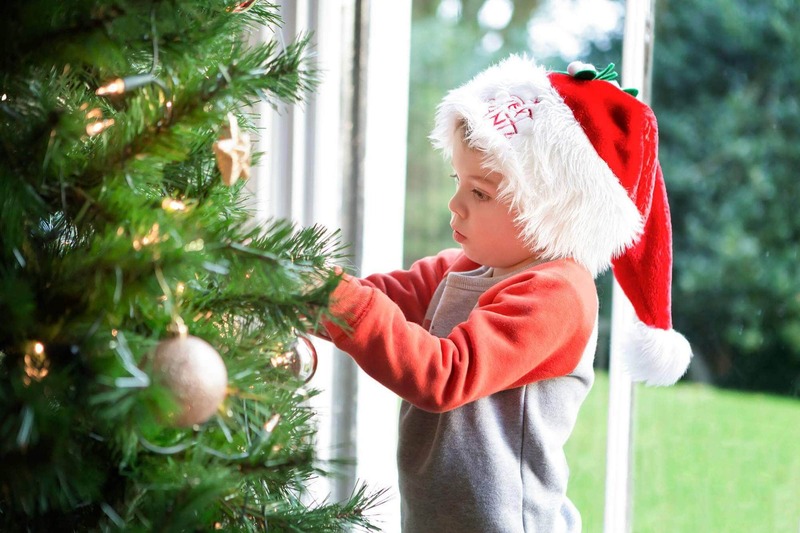 As we move into December, I am often asked for tips on how to photograph children putting up the decorations and around the tree on Christmas day. 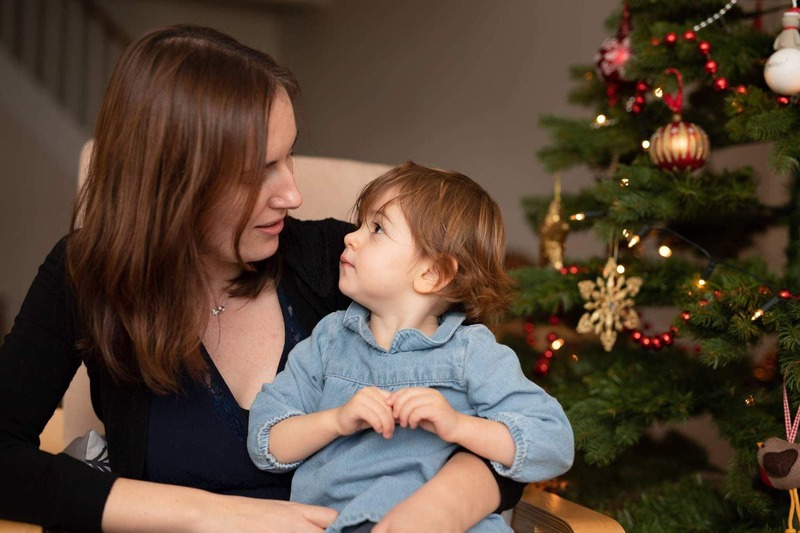 So here are my best tips on photographing around the Christmas tree, plus some examples which you can use as inspiration from other professional photographers. I hope this helps and I would love to see any of the images you take after reading this. The first is to decide what time of day you plan to take the photos. 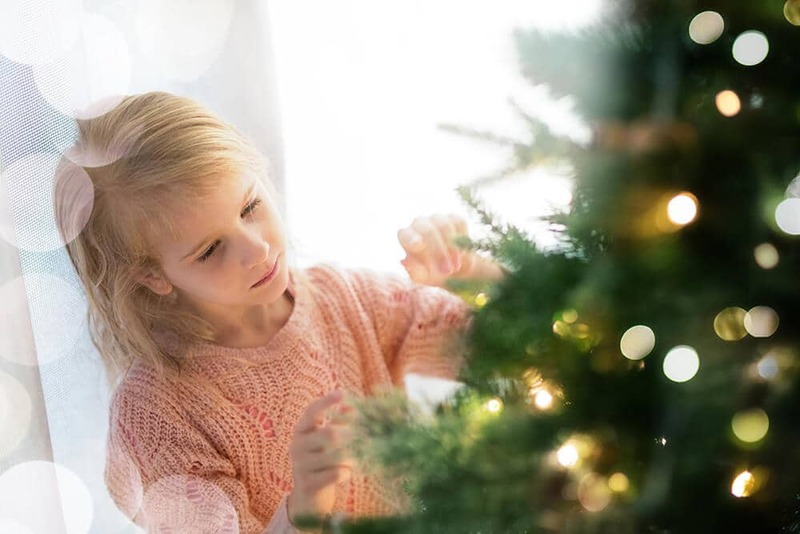 If you take an image in the day (when the light is good) getting lovely light on your subject should be straightforward, but you may find the lights on the tree are not as visible. 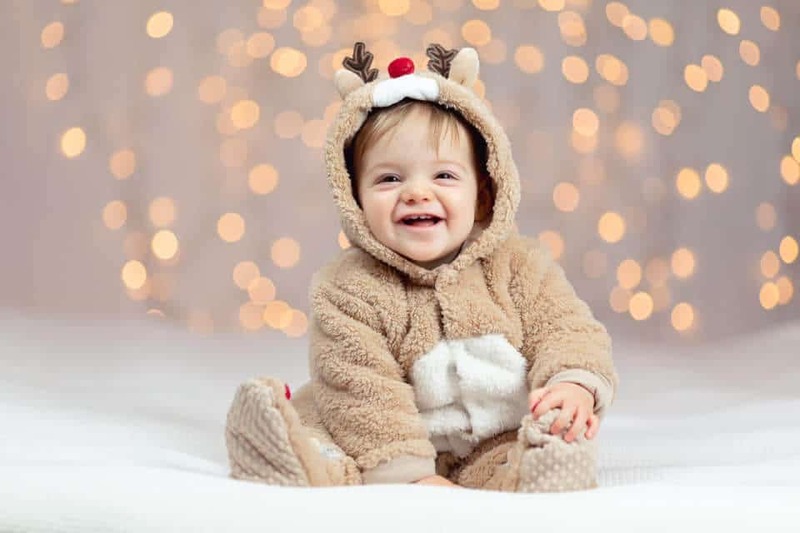 You may then wish to add an additional light source on your child’s face to make sure they are well lit. This could be done with candles, fairy lights, ipads and even the torch on your phone if need be! Settings of the image on the right: Canon 5diii, Sigma 35mm, 1.4 aperture, ISO 5000. 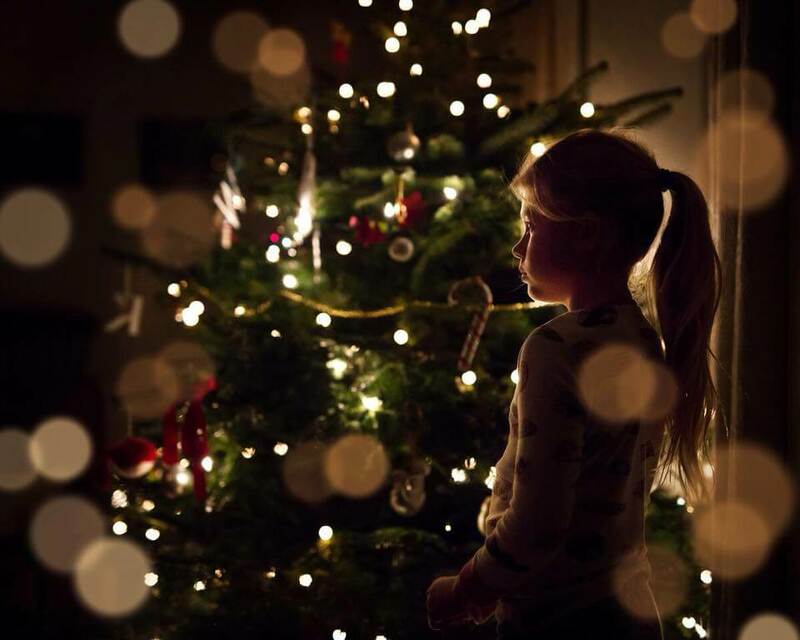 If you are trying to create that lovely Christmas tree bokeh (where the lights go blurry) you need to shoot as wide open on your lens as possible, keeping your aperture number low, ideally around f 1.4 – f 2. This allows the maximum amount of light into the camera and it will blur the lights of the tree. 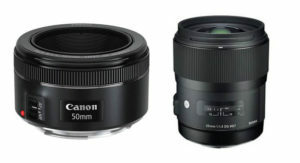 Ideally, you would be using a lens which is wide ( around 35mm or 50mm). I have the 85mm which also has a low aperture but I often find I need to stand too far back to get the shot that I would like. If you are shooting in the daytime (in good light) I would be looking at an ISO of 800-1600, aperture of f1.4 – f2 and setting my white balance a little warmer to around 6000 Kelvin (or cloudy if your camera cannot be set in Kelvin). If you are shooting into dusk, or when it’s very dark, you need to push your ISO much higher and balance your shutter speed. The images in this blog were around 1/200 second shutter speed, 1.4 aperture and 6000-8000 ISO! Settings of the image on the right: Sigma 85mm 1.4 aperture, ISO 8000. When you photograph around the tree in the daytime ideally you still need to manage the light so you get some twinkly lights on the tree. 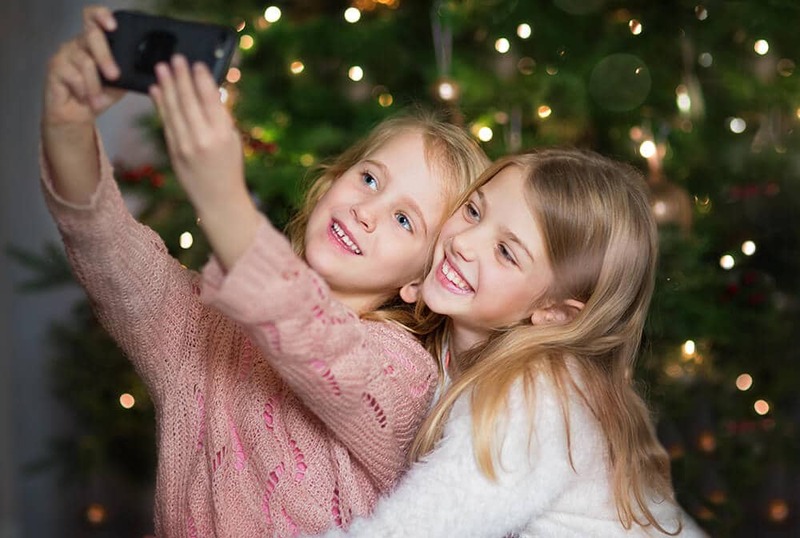 Below is an example of how I set up the selfie photo below (I was going for a beautiful portrait of my daughter and god-daughter but all they wanted to do was take pictures of themselves :-). I had all the curtains around the Christmas tree closed and the only one which was open was where I was sitting with my camera. The girls were well lit as they were facing towards to light, and the tree had some visible lights as it was in a darker area. On the second image, I opened the curtains all the way and then exposed the shot for her face. To get the bokeh/blur I had to shoot around the corner of the tree. You can see my camera settings for both images below. 85mm lens, ISO 3600, aperture 1.4, Shutter speed 1/200. Backlit from behind with window light. 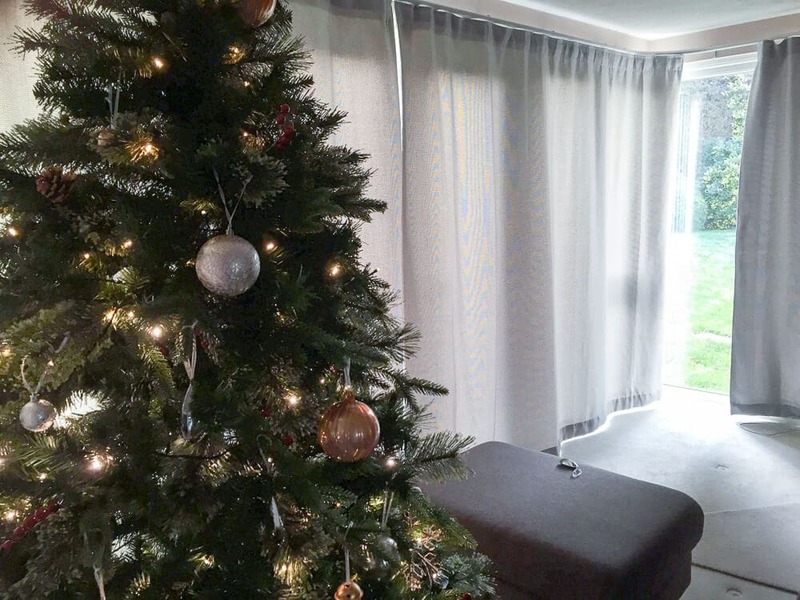 Here are some more examples, taken by other professional photographers, to give you ideas of how you can photograph around the Christmas tree in the daytime. 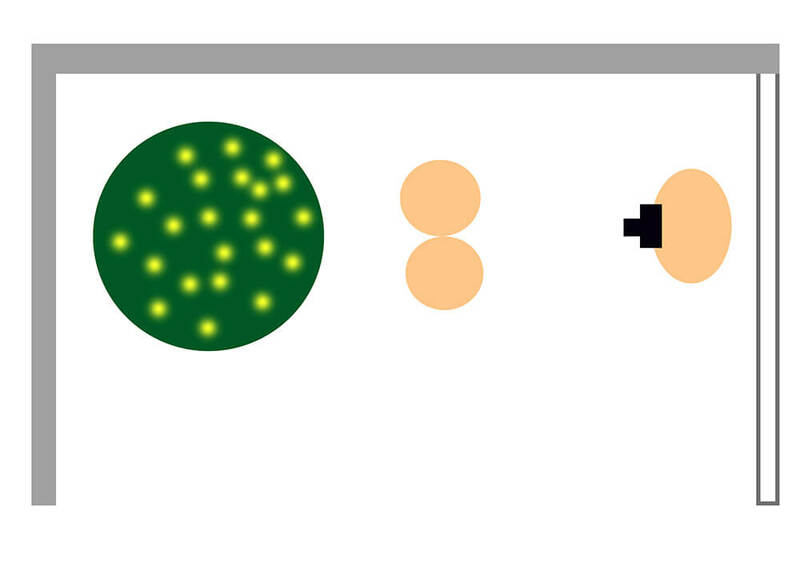 The settings are explained underneath each image. 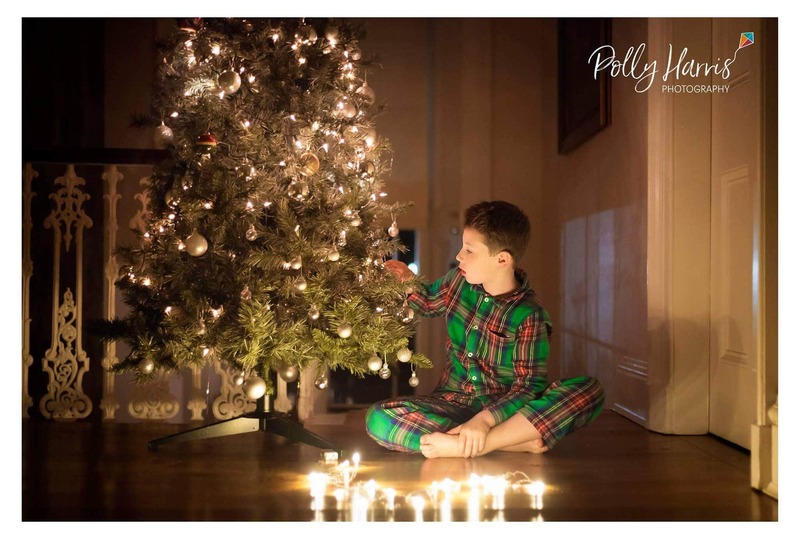 Taken by Polly Harris Photography this image was taken on the Canon 6D with the 24-70mm lens. Her two boys were helping to put up the tree, so this is real (not staged). The wee one (in the image) is 4 and was taking so much care over every decoration. My older son (8 yrs), got bored after 20 mins. F2.8, 1/180 ISO 2500. Taken by Amanda Jane Dalby Photography Shot with her Canon 5DM3 and my sigma Art 35mm. 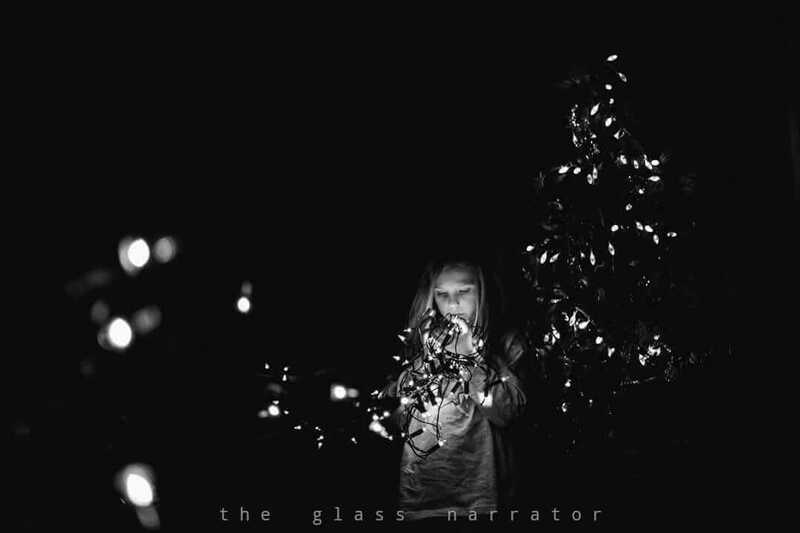 She wrapped some fairy lights around my lens and told my 4 year old to do what he always does which is jump on the bed! Easy! I shot really wide open as I wanted it to be light with a very blurred background. f1.4, ISO 1600, SS 1/400. 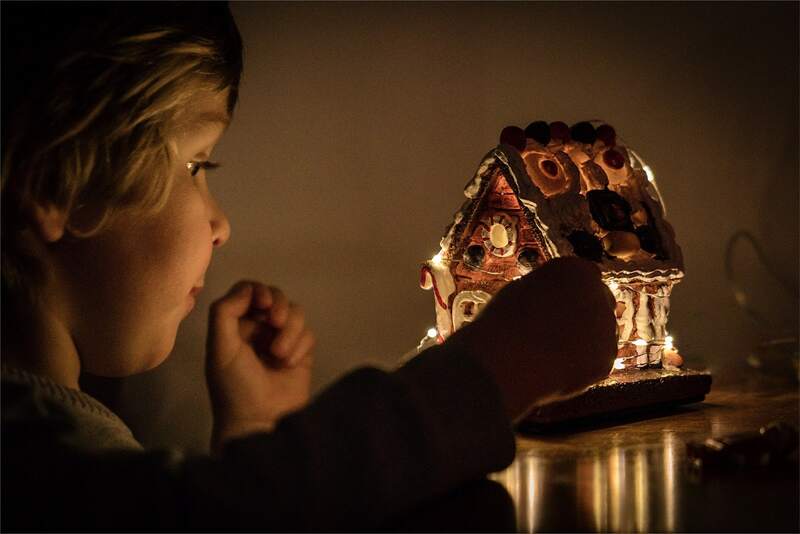 Taken by Nadine Brandt Photography on the Canon 5D Mark iii, 35mm Sigma Art, at a very wide aperture of f/1.4 , ISO 640. She wanted to get the focus just on her and the little earrings catch as much light as possible. 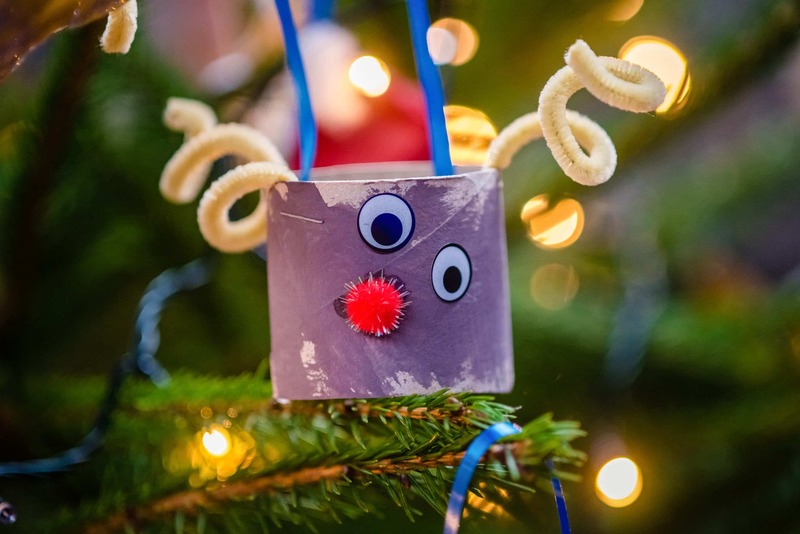 Nadine’s suggestion would be to give your kids a task (in my case helping with the tree decoration), and just then take the camera out once they are busy with their little activity. 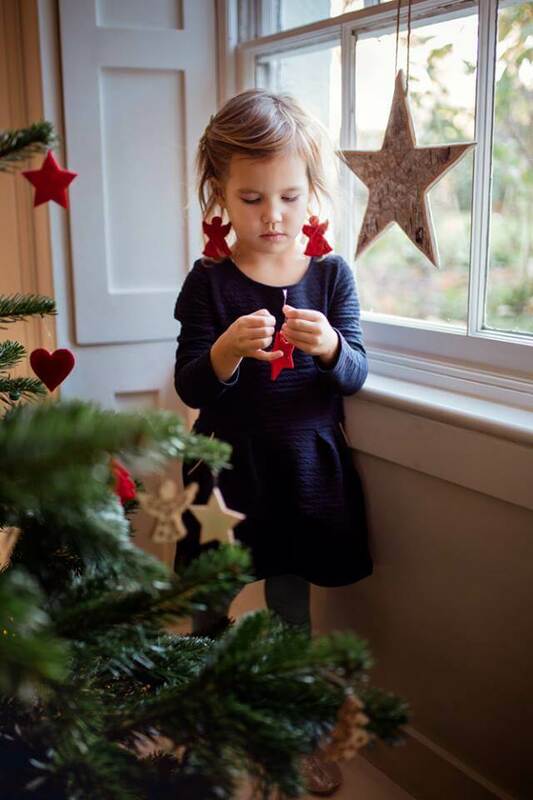 Here she was able to position her next to the window by suggesting she can climb up on the window bench to reach the higher branches of the tree. 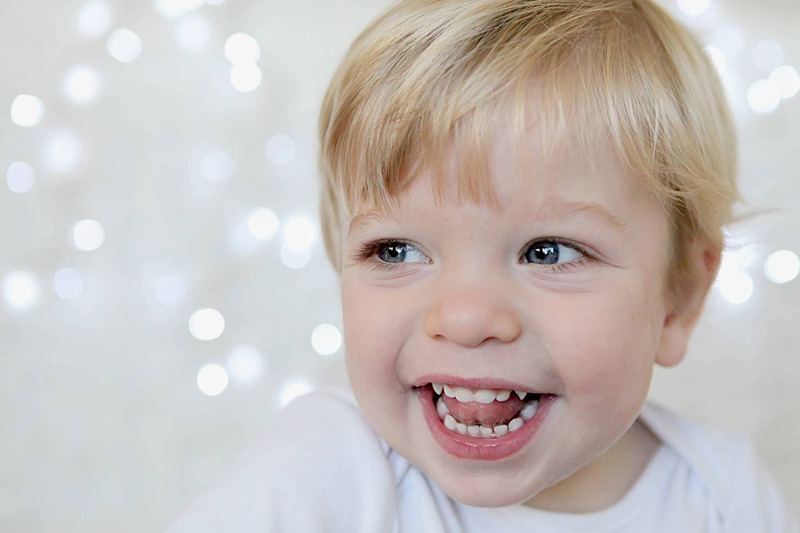 Taken by Louisa from Louisa French Photography Shot with a Canon 5diii and 85mm at f2. She was facing the window light with Christmas tree in the background. Taken by Suzanne Kentish Photography on her 24-70mm at 52mm, f3.2, 1/1600, ISO6400. 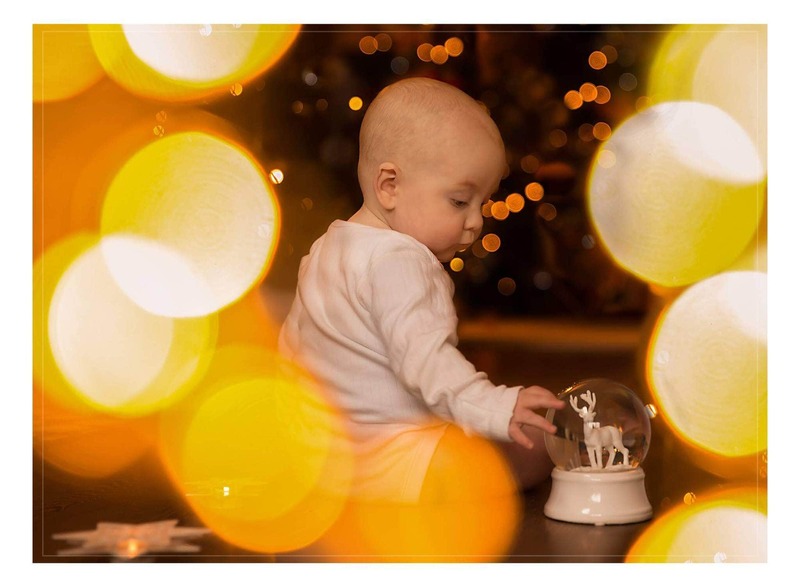 She used a white sheet on the sofa and added fairy lights to the background to create this Christmas Portrait. Also don’t forget to photograph the details, just like this one from Belinda Grant Photography taken with Nikon D800, ISO 1250, 105mm lens, f 3.2 ss1/100. This shot is especially great as the decoration is handmade. 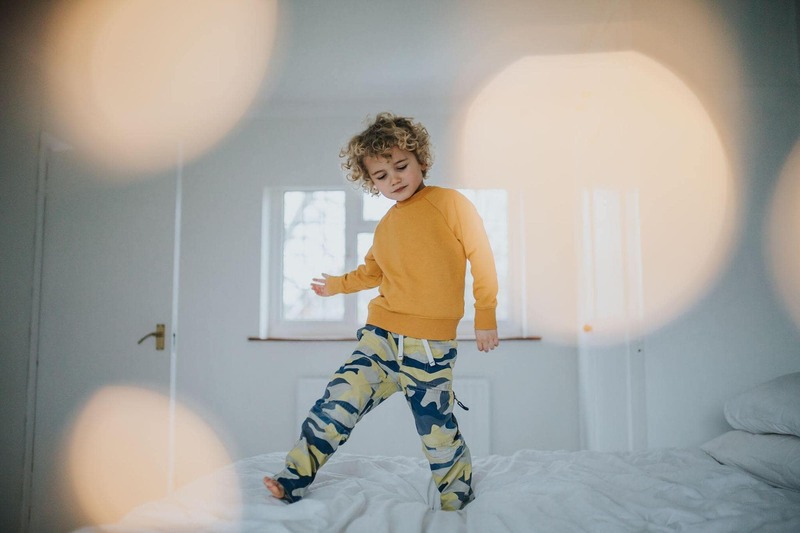 Shot by Catherine Gil Photography this photo was taken using natural light and the Sigma 50mm 1.4 (shot at f2.0). Catherine was sat facing a big window although a very gloomy day. As it was so cloudy she bounced a flash off the window behind her. Photographed by Niki from Eye Hart Photography this was taken on the Canon 6Dii & 135mm at f2, ISO 320. Plenty of twinkly fairy lights in the background (a double bed length away at least for the bokeh). You also may have spotted that in some images there appear to be lights in front of the image, as well as on the tree in the background. 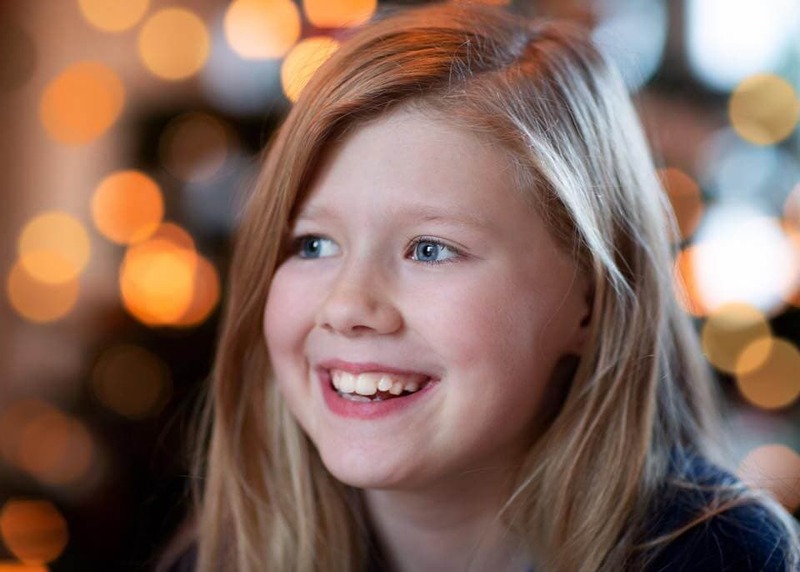 This is a really neat trick and is a great way to light your subjects face. Brandon Woelfel is one photographer famous for shooting portraits this way – he often uses strings of fairy lights in his images to create interest. As in the shot below, he holds one end of the lights and the model holds the others to create the light around the edge of the camera lens. Below is an example of his images plus a couple that I took when experimenting with lights in front of the camera. The middle image was using a leftover sparkler from Halloween and the second is a string of fairy lights. This is great fun to play with so why not have a go yourself! 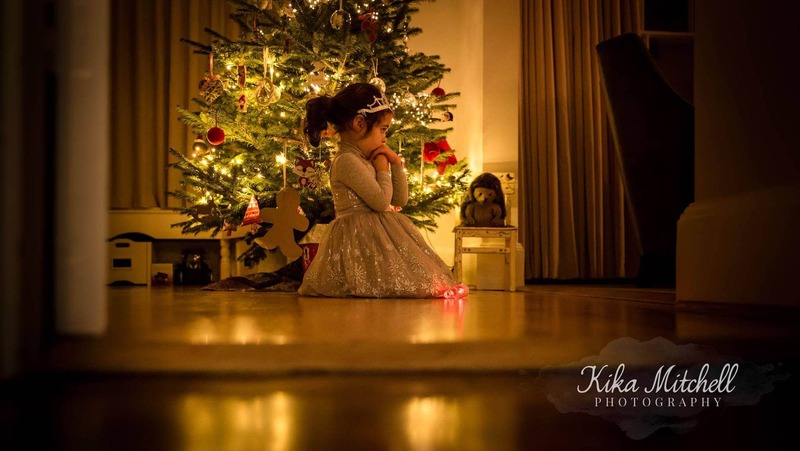 Another great example of this by Karen from Jam & Pickle Photography. Shot facing natural light in the day against the background of our tree with curtains closed and held fairy lights in front of the lens. Canon M3 ISO 640, 160ss, 3.2 aperture. 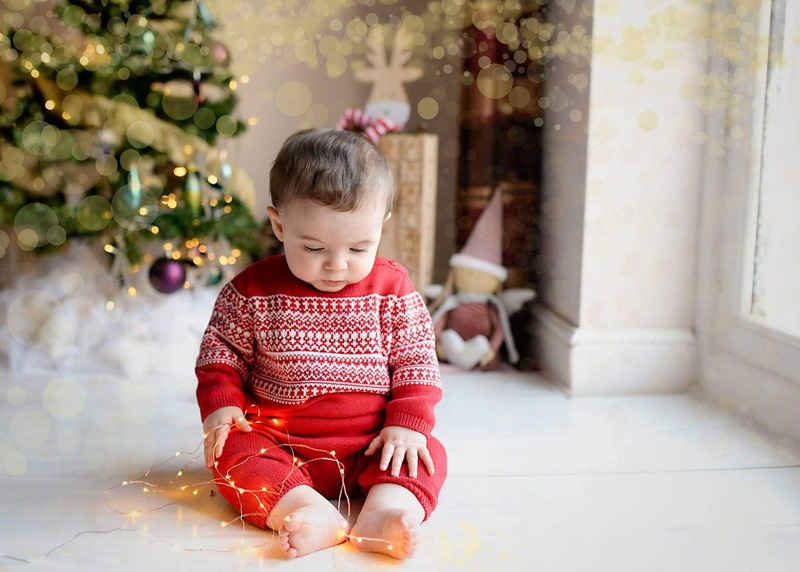 Most professional photographers will lean towards shooting when its dark to take full advantage of the Christmas tree lights and to make the images feel like they are straight from a Christmas card. It is certainly more challenging to shoot at this time, and you can see from the examples below how they have had to manage their camera settings to allow enough light into the camera. 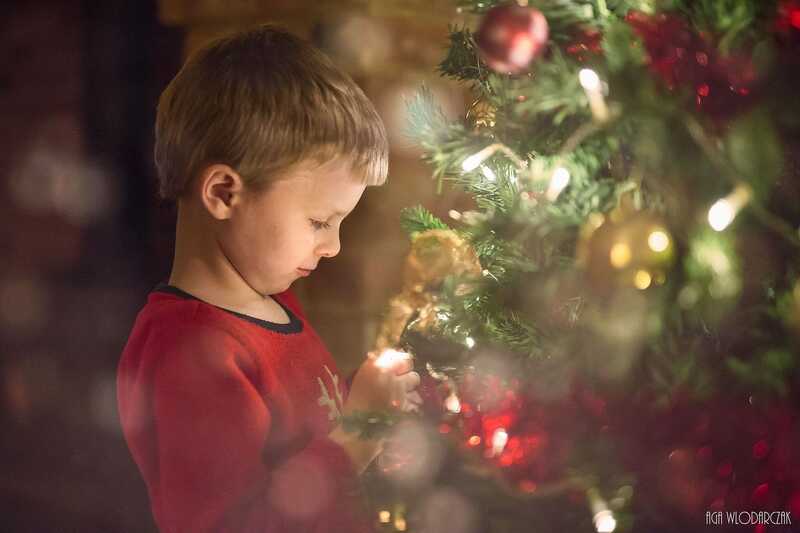 Shot by Louisa French Photography on a 5D mark iii using ambient light from the tree lights. 50mm f2 at around ISO 3000. Shot through tiny dim LED Xmas lights to create the bokeh! Shot by Claire Tennant on the Nikon 35mm at F1.8 1/125 ISO 2500. 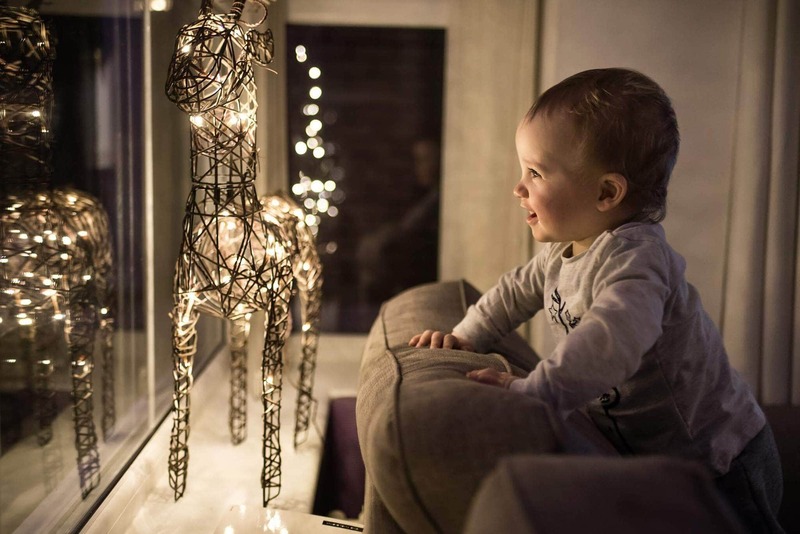 A wonderful way to use ambient light and reflection in the glass. 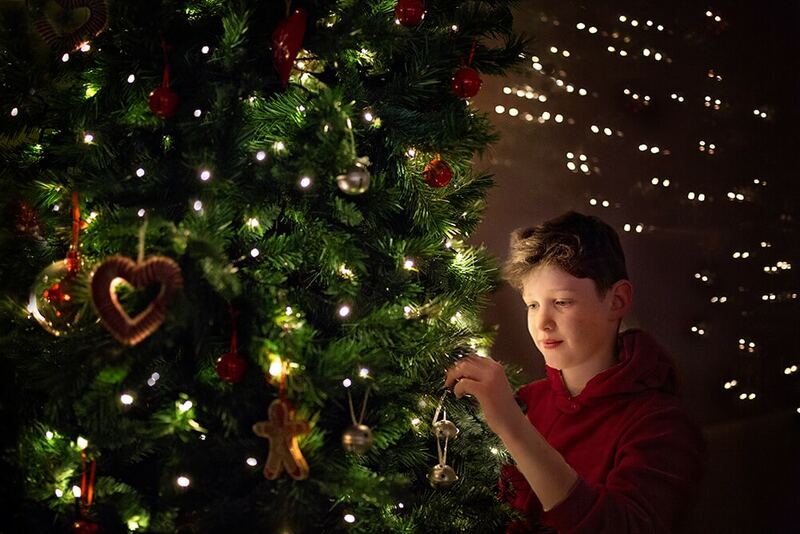 Taken by Polly Harris Photography this image is called “Finishing touches on the tree” Lens: 50mm, F1.8, 1/30, ISO 3200 using an extra set of fairy lights to ensure my son’s face was lit. 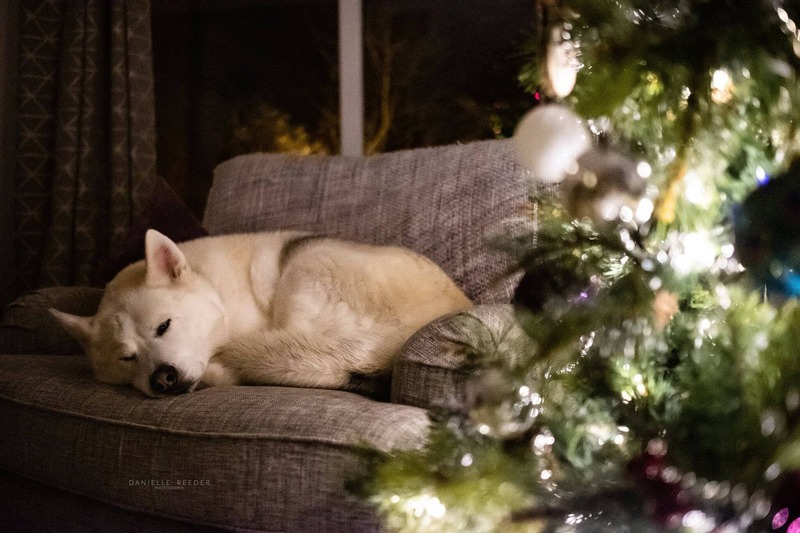 Taken by Danielle Reeder Photography after she came down from putting her daughter to bed to find the dog had made himself quite comfortable on the chair next to the Christmas tree. She grabbed my camera as he looked so adorable! The lights on the tree were the only light source so she had to really push her settings. She used the 23mm lens on my XT2 – ISO 12800, f/1.4 at 1/30. 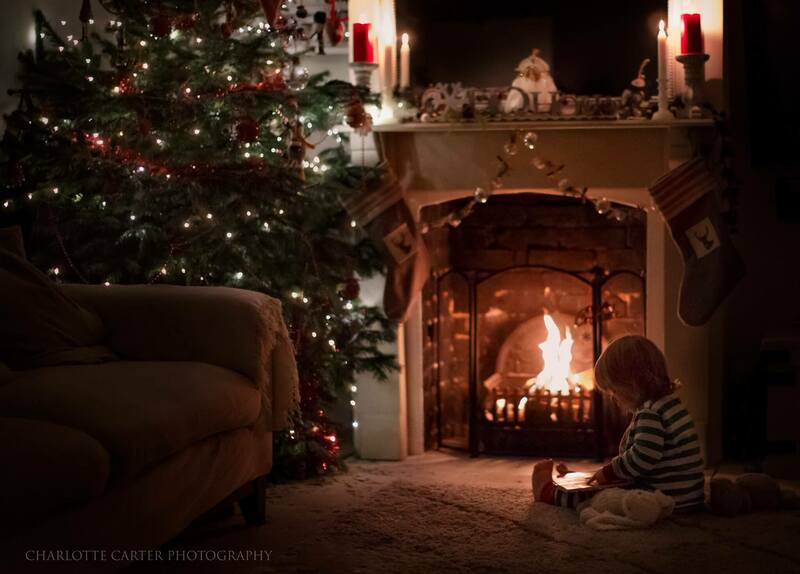 Photographed by Charlotte Carter Photography taken on her canon 5DM3 and 50mm 1.2 @ f1.2 / 1/320 sec at a whopping ISO 12800. 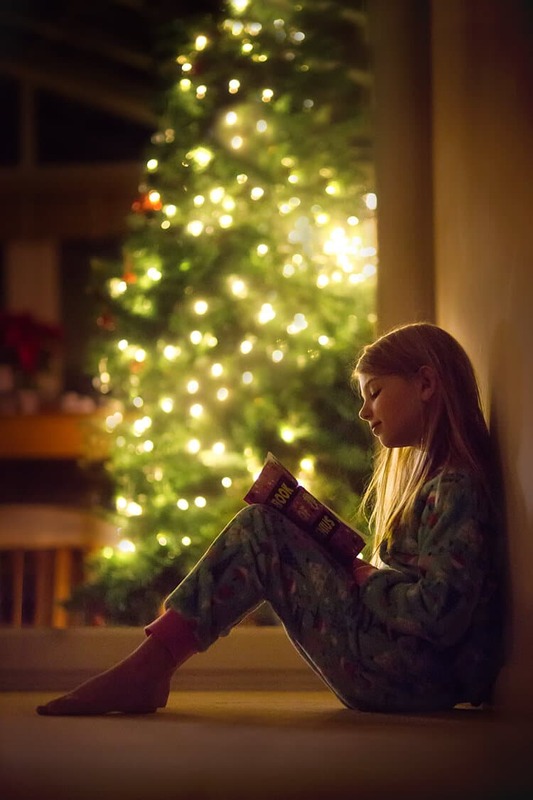 Her daughter was up seriously early this morning so she snuck downstairs, trying hard not to wake up the boys to read some books by candle, fire and Christmas tree light. Taken by Aga Wlodarczak Photography the light was so low here she had to push her ISO to 10,000! Photographed by Kika Mitchell Photography it was so dark that this photo was taken at 1/100 shutter speed – she was lying on the floor for the reflections, and I whacked the ISO up to 2500. In editing, she minimised the grain in Adobe Lightroom. 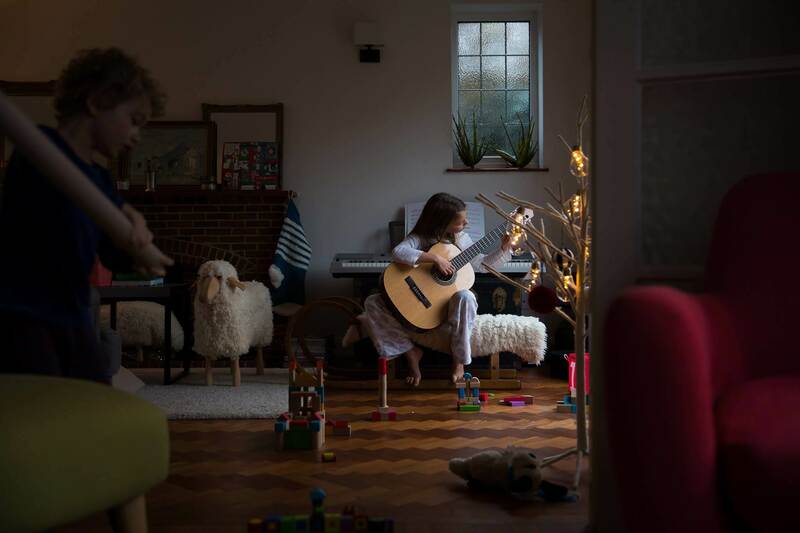 Taken by Amanda Jane Dalby Photography this image was taken in front of her little Christmas tree while my daughter was practising her guitar one wintry December morning. Amanda wanted to make use of the low window light here, and my settings are ISO 2000, f/2.8 at 1/200 sec on my Canon 5D Mark III and a Canon 24-70mm f/2.8. Editing is minimal, with the shadows bumped up a bit to accentuate the existing light. Amanda mentioned how it is a struggle to find enough space to photograph in her little English house, and she was looking for layers to give a sense of perspective, hence the chairs in the foreground, and her son doing his thing to the left. She also wanted the little everyday details left in; the teddy randomly strewn on the floor, and the assortment of mini castles, as a tidy house is not really one that is part of her story. Shot by Rachel Hughes Photography on the 24-70mm, f2.8, 1/200, ISO 2000, taken at 6 pm. 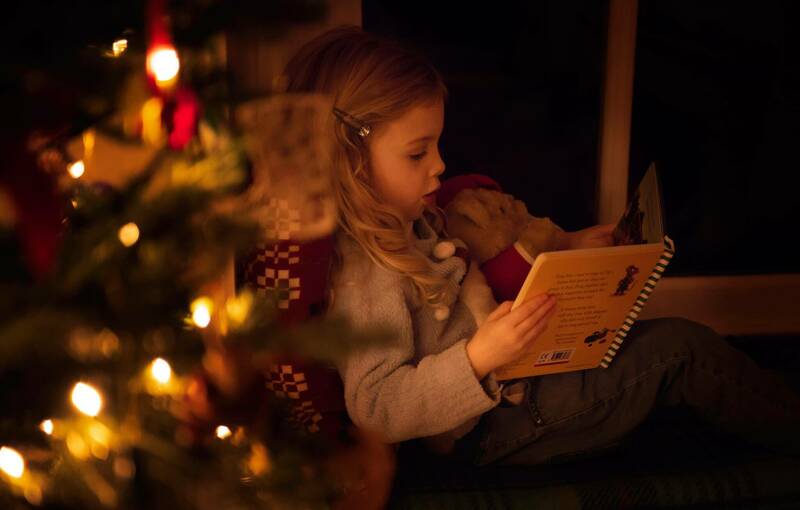 She photographed through the Christmas tree to light her and asked her to read a story to keep her nice and still in the low light. I hope you have found this blog post about photographing around the Christmas Tree useful and I look forward to seeing all your fantastic images! Have a great Christmas & New Year and if you are interested in any photography training then just visit here for beginners photography courses or here for training for professional photographers. Very useful tips and ideas, the settings detailed for each of the photos are a good guidance to use as a starting point when selecting our own settings. Thank you All for sharing your beautiful shots! Great tips Nina, thank u!